Joe Eisele has made it his life’s work to help people struggling with addiction heal themselves and rebuild their lives. 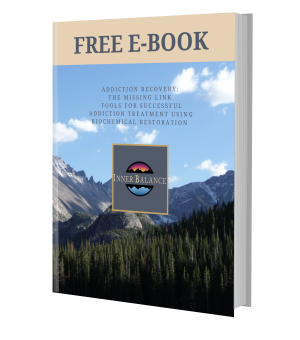 Through his own journey with addiction and relapse, he found that success came only when his underlying depression, anxiety, and sleeplessness were healed. Joe founded Inner Balance Health Center in 1998 to help others succeed and thrive. As Clinical Director of Inner Balance Joe brought together an experienced team of counselors, doctors, nurses, psychologists, and health & fitness experts to provide services and tools that positively impact every aspect of clients’ lives, beginning with their health and extending to their daily routines and personal relationships. Joe found that lasting sobriety is achieved only when all these areas are addressed. As a young adult Joe found himself using again and again despite going to treatment, having a sponsor and attending meetings. Relationships, jobs and joy were all lost. Insomnia, anxiety and depression were constants in his life. Receiving biochemical treatment for these underlying issues was the turning point. With his health restored, tackling the hard work of living sober–rebuilding a career and healing relationships–was easier. Over 35 of sobriety began with that fresh start. Joe is a National Certified Addiction Counselor and a Colorado Addiction Counselor III and has intervention training from the Johnson Institute. He has been treating addiction in northern Colorado for 30 years.